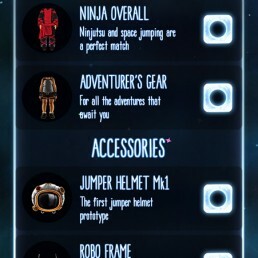 Polish your space boots and prepare for the adventure of a lifetime with the game that’s taken the app stores by storm. 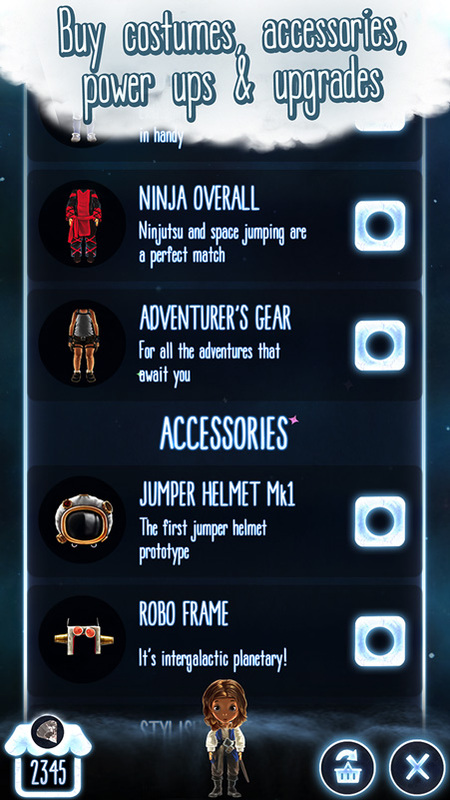 Join our space jumping hero as he sets off across the galaxy on an amazing journey to find a new home. Use the super simple one touch control system to leap from planet to planet, undertaking challenges and collecting as many stars and power ups as you can along the milky way. 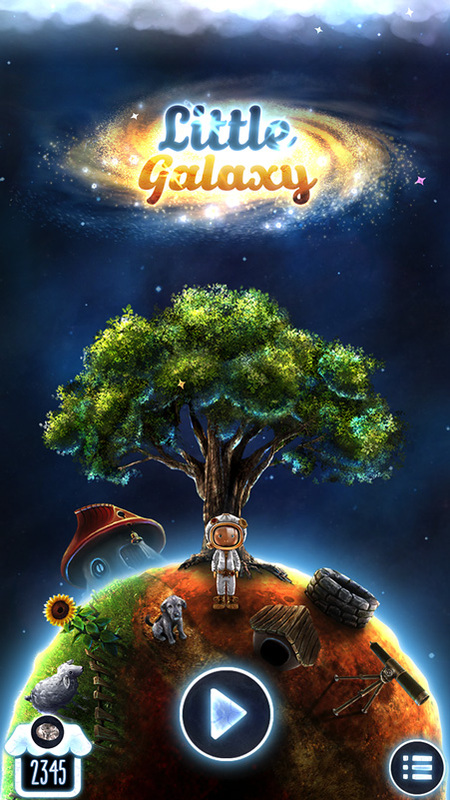 With unlimited gameplay possibilities, challenges, stunning graphics, a host of unlockables and much more, Little Galaxy will draw you into its enchanting orbit like no other game. 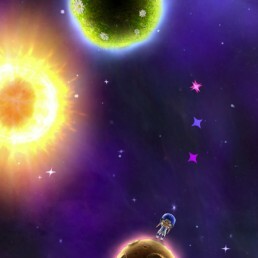 With its gorgeous graphics, cheerful sounds, and fun physics, Little Galaxy has become a game that I’m really enjoying. It truly is flawless. Little Galaxy has all the ingredients of a portable classic: it’s fun, attractive, and taxing enough to be addictive without putting off casual players. Game of the week! Fun to listen to, gorgeous to look at, and super fun to play…Developer Bitmap Galaxy has a definite hit on its hands here. 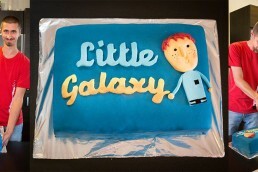 Little Galaxy has won several awards, it was featured by both Apple and Google and got more than 1.5 millions of installations all over world. 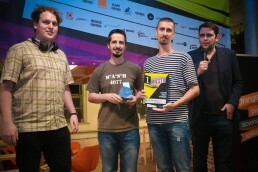 It hit #1 position in various categories including “Overall”, “Games”, “Kids”, “Ages 6-8” on Apple’s store in more than 80 countries including United States, United Kingdom, Russia, Germany and received positive reviews and annotations in significant video game media like IGN.com, CultOfMac.com, PocketGamer.co.uk and more. 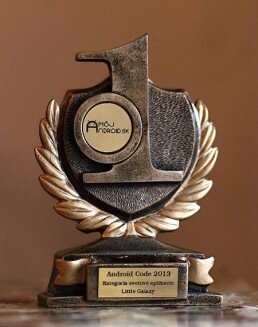 Little Galaxy won 1st place in Android Night 2013 in category “World applications”, 1st place in Orange Apps rulez 2014 in category "Applications for tablets", 3rd place in Orange Apps rulez 2014 in category "Not branded applications", 4th place on Digital Ehon Award No. 4 in Tokyo/Japan. 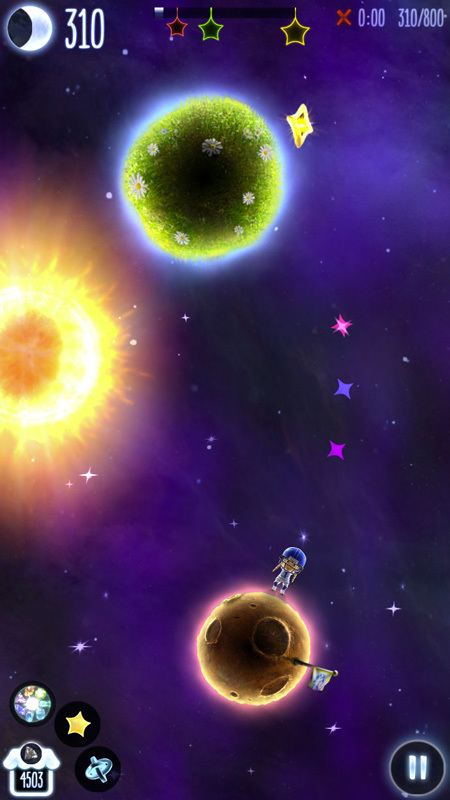 One of the biggest motivations for creation of Little Galaxy was the desire to create something nice and positive. These days there are too many games focused on the negative spectrum of human experience. We wanted to balance this out, at least a little bit. 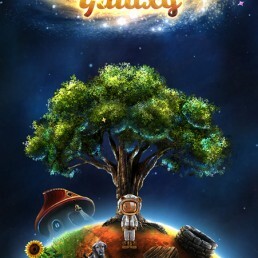 Although Little Galaxy is not a project aimed only on young audience, it's only natural that it has found many young players. Also responsible parents are always on a lookout for games, where their offspring can play in "safe environment", so we got some coverage on sites focused on games for children. 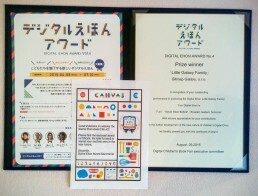 So while searching for an interesting marketing idea coloring books came as a perfect match to our project. 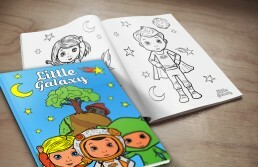 Little Galaxy proved to be rich material for a coloring book, so we haven't had any problems to choose artworks of characters and planets. Books were used as prices in various small quizzes and competitions. 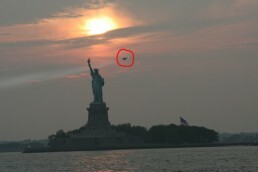 Their purpose was to be an engagement booster on social media and they were received very well. If you are interested, you can download the coloring book on the link bellow. Also don't hesitate to email us your creations. There is always room for more colors in space.